Between Atherstone and Tamworth on the Coventry Canal you can find the little village of Polesworth. If you weren't paying attention you could be past it before you even thought of stopping there. We only stopped because of reading about Polesworth Abbey and wanting to see what remains. We found much more than we were expecting. Polesworth keeps its candle hidden a bushel basket, that's for sure. Polesworth Abbey was founded in 827 by King Egbert with his daughter Editha (later Saint Editha) as Abbess. It prospered for 700 years but was disbanded as part of Henry VIII's Dissolution of the Monastaries when he broke with Rome and established the Anglican Church. Most of the Abbey buildings are gone with the stone being used to build other buildings around the village. The 12th century Abbey church, now the Church of England parish church of St Editha, remains as does the Abbey Gate House. The rooms above the gate house have been redone and can now be rented by vacationers. Now that would be FUN. The old cemetery is also a very interesting place to explore full of headstones going back centuries (some of them so worn they are basically unreadable. I did find one, from about a century ago that, as a mother, made my heart break. During World War I the Hill family, like so many others, sent their sons to fight in the Great War, the war that was to end all wars. Between 1917 and 1918 three of their sons perished. I cannot imagine. The poet Michael Drayton (famous for historical poems) was in service to a well to do Polesworth family around 1580, and it is believed that William Shakespeare worked as a household page with Drayton, forming the basis of their adult friendship. 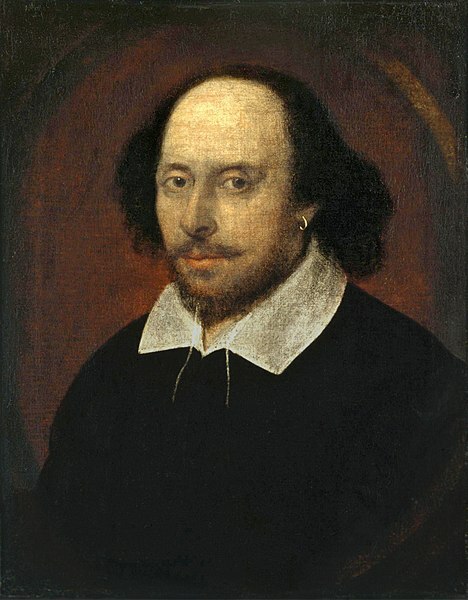 The Polesworth Group, a literary society, had Drayton as one of its founding members and it is believed that Shakespeare may also have been involved with the society along with Ben Johnson and others. The Old School, as seen above, was built in 1818 but stands on the site of an earlier school founded by Sir Francis Nethersole in 1638 and built 1655. It is believed that Shakespeare received some of his education in Polesworth where he is said to have attended the earlier school. The Coventry Canal was built through Polesworth in the 1770s. The access to easy transportation of goods lead to the development of coal mining and the production of dishware. Coal mining remained an active industry in Polesworth for the next two centuries.During WWII strip mining devastated the area and even led to the river Anker being diverted. Luckily the former strip mining site has now been turned into a beautiful public park and the river Anker now flows on its original course. Industry is now gone and Polesworth serves as a small commuter town for nearby towns and cities. It does, however, have a cute 1950's American Style diner that serves a very good lattee and some interesting burgers including one named the Audrey Hepburn that used a couple of glazed donuts instead of the usual bun. I was not brave enough to try it and I would bet you Audrey Hepburn never did either. But it is the thought that counts, right?